Does fighting the weeds in your yard feel like an uphill battle? Weeds are resilient and can be difficult to control, but if it feels like, no matter what you do, the weeds keep on popping up again and again, there’s a good chance you’re making a mistake or two when it comes to weed control. Weed control mistakes are common, but you can’t fix them if you don’t know that you’re making them in the first place. 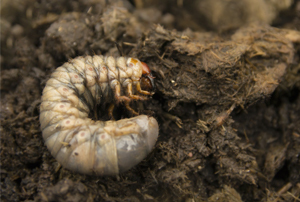 That’s why our weed control experts in Allentown have come up with this list of some of the most common weed control mistakes. Mistake #1. You attempt to kill your weeds with vinegar. Vinegar is a powerful household tool that can be used for everything from cooking to cleaning, but it’s not a solution for weeds. Why do people think that vinegar is an effective weed control solution? Because it can do some serious damage to the weed’s leafy part, which will make it look dead. However, vinegar won’t affect the root system of the weed, so in the end, it will only grow back. 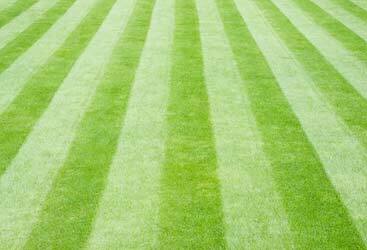 Additionally, vinegar can destroy the turf surrounding your weeds. If you’re desperate to get rid of the weeds in your lawn, turn to a professional. Don’t try to kill them yourself with vinegar. Mistake #2. You overwater your lawn. Good weed control starts with good lawn care, and one of the most basic aspects of lawn care is watering. Most people don’t think they water their lawns enough, but it’s important to note that overwatering is just as common — if not more so — than underwatering. 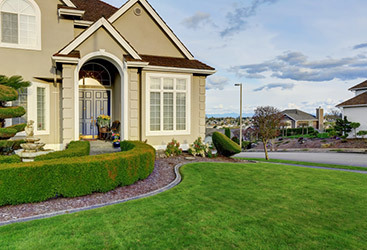 Your lawn only needs only so much water to be strong and healthy, and too much moisture in the soil can create the optimal environment for weed growth, while also making it difficult for your grass’s root system to deepen properly. Mistake #3. You aren’t using fertilizer correctly. 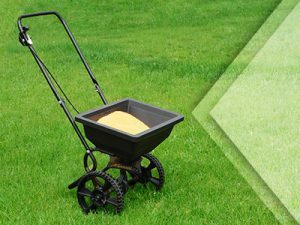 Fertilizing your lawn is essential for keeping it healthy, and when it’s done correctly, fertilizing can also help to keep the weeds in your yard at bay. However, just as it’s easy to overwater your lawn, it’s also easy to overfertilize it. If you overfertilize your turf and other plants, you may end up accidentally suffocating them, while simultaneously giving your weeds the extra boost they need to start taking over your lawn. Another common mistake made when fertilizing is an inconsistent application. But, the good news is that both of these mistakes can be avoided by relying on the right lawn care company. Don’t let these common weed control mistakes get you down! Weed control may seem straightforward, but it’s all too easy to damage your lawn and to make it even easier for new weeds to pop up in your attempts to keep them at bay. 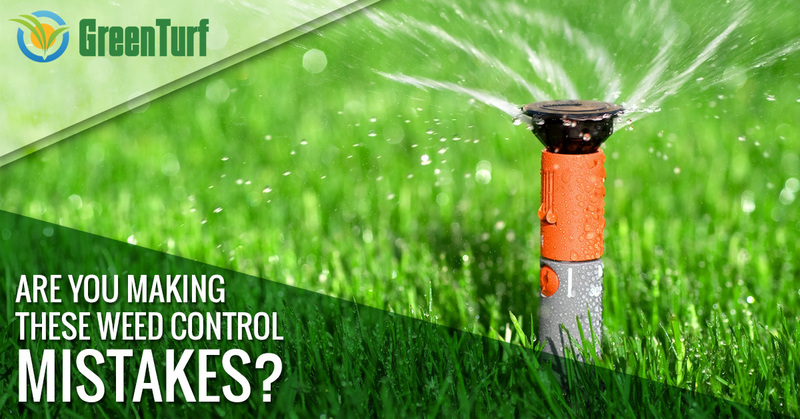 And, these are just a few of the most common weed control mistakes homeowners make. To learn about more weed control mistakes, stay tuned for our next blog. In the meantime, let the experts at Green Turf handle all of your weed control needs. Get your free estimate today.